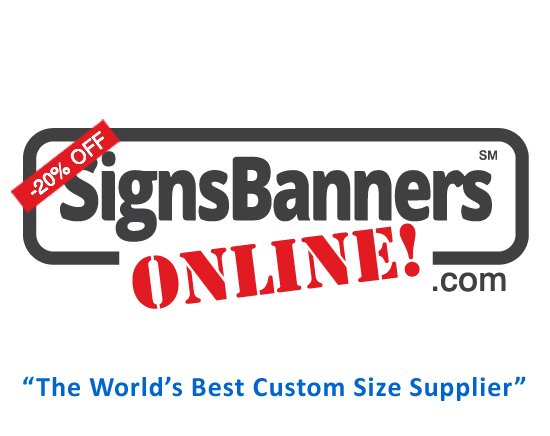 Signs and Banners Online allows you to independently order, upload and manage your projects. However, for some clients they would rather engage (employ) a professional designer nearby to project manage and design for them. That's where our In-House Designer's come in. Select a designer near you. Independently, they can quickly compose your art ready to order. Either way, the choice is yours. We offer clients the ability to do it themselves, use a local design firm or engage us directly in a Professional Services capacity via Let Us Design. Whichever direction you take, we want to see you succeed! In order for our Let Us Design team to best present your brand and its custom needs, we’ll work with you to map out key details such as size & direction, logos or graphics you have now or need created, composing creative into a file, uploading for you and showing you an online proof before printing begins. Plan ahead and allow sufficient time for 'early stages' to be completed. A well planned project will offer many rewards. Our printing is direct and fast so plan for creative and shipping periods. Let us know if your project is deadline driven. Saving you time and money, our professional design team will also upload the creative for you to view and approve. This handy feature allows you to inspect all elements of your design before payment is due. Event companies like the professional process because of their ability to enhance new client bids and proof of concept presentations. Small firms and individuals whom are not expert producing big banners. Larger design firms and advertising organizations like to work with SignsBannersOnline.com Professional Services because of our enterprise support and creative results are exceptional. They retain full management control whilst our team puts it all together and uploads for them to view and approve. Every Let Us Design project engagement is quoted based upon the amount of work required. Quotes include all end-to-end services we provide in order to complete the project, which could include layout, creative, re-draw etc. Templates are free. Alternatively, Outsourcing (or free-lancing) Design is an alternative of any project’s overall budget. If you prefer being guided to a professional graphic design firm near you, you may also undertake that option too. We are happy to guide you to local design firms for one to one discussions and budget quoting for custom signs and banners. Go local. A professional design firm near you will be able to offer you the best service, creative results, alterations and relationship. By using a firm near you, you will be able to use your relationship for many marketing projects. We recommend you use a design firm in your town first. OR... feel welcome to use our 'Let Us Design' department OR... Geo-Designer's. Ideal for quick designs, competitive prices and 'online' completion, Freelancing is a popular amongst design people. There are many 'bidding based' websites that offer freelance services. Post your instructions and wait for replies. Ask about their design completion success and show them the neccessary specifications as outlined by using the Easy Template Maker. Try these keywords to find a design firm near you. Start by inputting size and options at the calculator. Add items to your quote. Customizeable and proven to be effective in ensuring projects are completed on time and within budget. Access all the information you need and upload to print.